In 1 1/2-quart saucepan, heat 1 inch water to boiling. Add broccoli, carrot and onion. Cover and heat to boiling; reduce heat. Boil 10 to 12 minutes or until broccoli is crisp-tender; drain. 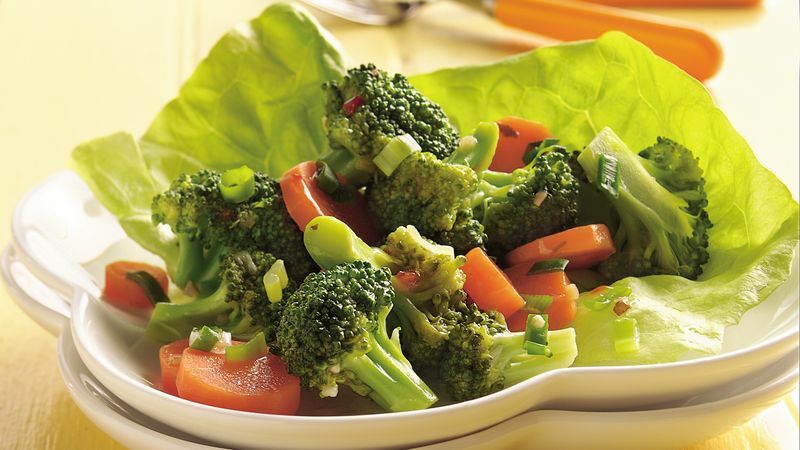 Toss vegetables with dressing. Cover and refrigerate about 1 hour or until chilled. Serve on lettuce leaves. Add a splash of color and extra nutrients by cooking 1/4 cup chopped red bell pepper with the other vegetables.